In this episode of the Dudes n Beer podcast host Christopher Jordan is joined by Steven Bishop as well as special guest and Therapist Michael Devine, MS, LPC-S, LICDC to discuss the psychological concept of Cognitive Dissonance and the possible root of some of the societal issue we are currently facing in our country with regards to the new phenomena of “Doxing”. Why is it that our American society as a whole has begun to devolve into a defunct version of once was? Why, despite the fact of ... Más informaciones being more connected than ever in our digital world, are we more divided than ever culturally, racially, ethically and politically, what is it that is causing this rift? Why are people so resistant to change despite their knowledge of facts? Where did the current online trend of “Doxing” get its origins? What are the benefits and the pitfalls for a society that uses such a means for exposing people and their actions? Is this practice a healthy course for us as a human society to follow as a human society or are we setting ourselves up for failure? These questions and more Tuesday night July 23rd at 8pm CST on the Dudes n Beer podcast with our special guest Therapist Michael Devine, MS, LPC-S, LICDC. 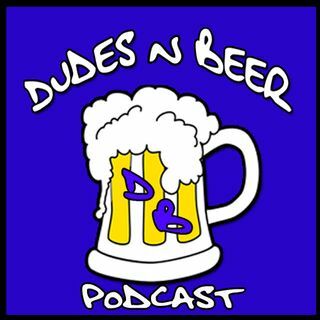 Download the FREE Dudes n Beer Podcast app for Android and iDevices or visit our LISTEN LIVE page and join the conversation.